Finding a place to eat in L'Agulhas and Struisbaai is generally rewarded with fresh seafood and ocean views. We've narrowed to the 5 top restaurants you have to visit in Agulhas. What was originally meant to be a humble fish take away, Pelican’s Harbour Café is now a popular restaurant amongst locals and tourists. Its prime position in the Struisbaai harbour means there is always an interesting buzz of activity between the colourful fishing boats and visitors going to see the local star Perrie, a friendly stingray that has been roaming the harbour for years. The relaxed atmosphere and inexpensive menu is the perfect combination to trying out some of the fresh seafood. The chefs know exactly how to cook up a mussel pot or classic fish ‘n chips to ensure you leave feeling satisfied! 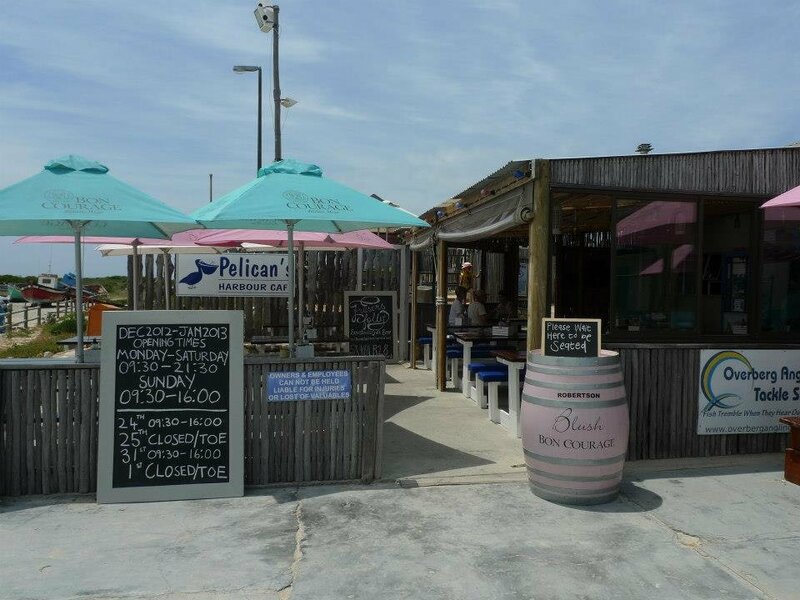 Seagulls Pub ‘n Grill is situated in L’Agulhas close to the lighthouse. 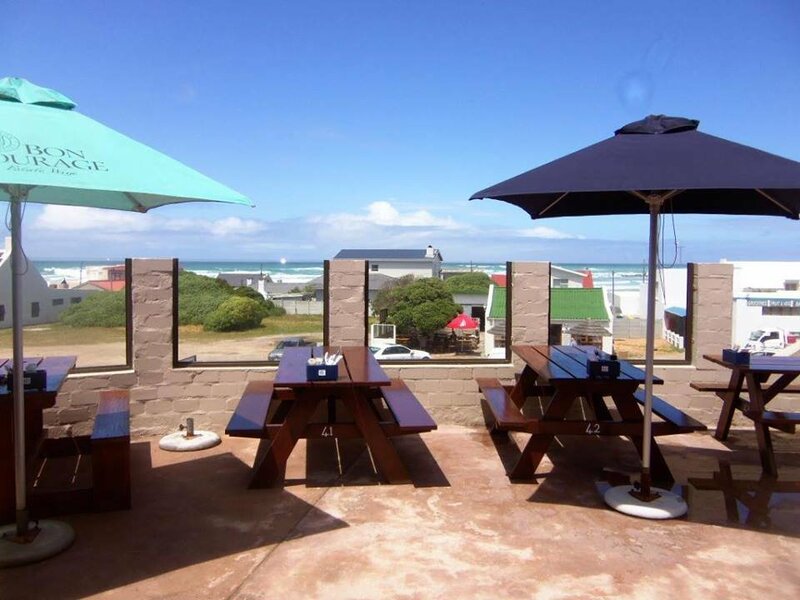 Seagulls is the place to be during summer as the large upstairs deck offers sea views where guests can spot whales in the distance (during season from July to December) and the lighthouse that signifies the Southernmost point in Africa. The wide selection of food ranges from seafood, steak, wood-fired pizzas, freshly made pastas and whatever the chef has decided for the daily special. Dinners are usually held downstairs where there is a cosy fireplace to set the ambience. Open to families or romantic dinner this is a great stop-over for hungry visitors. Although Struisbaai and L’Agulhas are well-known for their fresh seafood, there is more to palates of these docile towns. 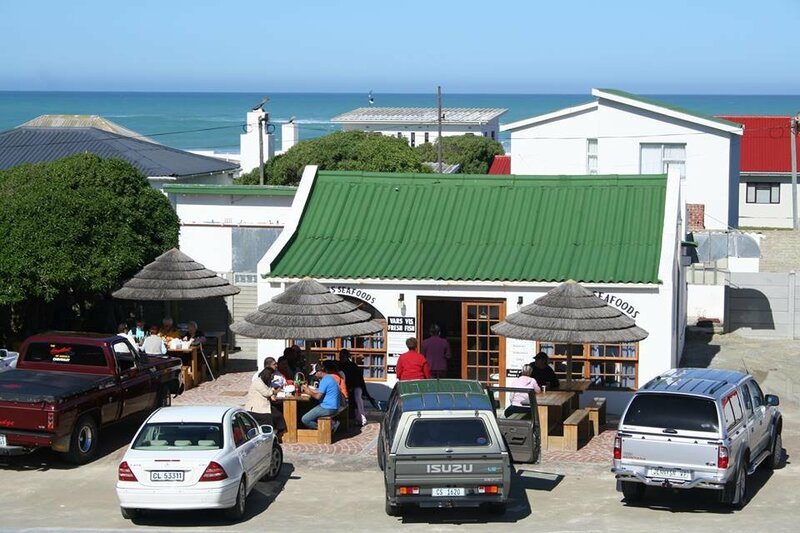 Bella Luna is a Struisbaai favourite amongst locals and any tourists that get a mouthful of their delicious Italian food. Situated right across from the Struisbaai Mall, Bella Luna is famous for the 2 for 1 pizza nights and pasta specials. The friendly atmosphere and forthcoming service make it a must for hearty Italian meal. 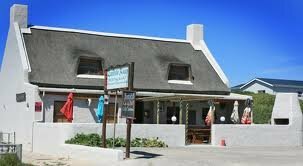 Zuidste Kaap is a popular restaurant and pub in the main street of L’Agulhas close to the lighthouse. From 10am to 10pm visitors can enjoy breakfasts, lunch, light snacks and dinner. The draw card about Zuidste Kaap is the friendly atmosphere and the delicious menu. A bit more pricy than the norm for Agulhas restaurants but with a menu that includes crumbed garlic mussels, crayfish, seafood platters, matured rump or sirloin, Eisbein and traditional South African bobotie it is easy to see that you will get your money’s worth. The well-known restaurant also has an interesting beginning as most of the furniture was made out of giant timber logs that were washed up on the shore after a freighter sank off the coast of Madagascar in 1999. Sometimes there is nothing better than sitting down to a fresh platter of seafood or the classic fish ‘n chips. The L’Aglhas Seafoods is a very relaxed fishery and restaurant that serves only the freshest. The menu is small and fishy while the outside benches are designed for a quick lunch. They got the taste right and that is what this little gem is perfect for, a mouth-watering stop for fresh fish that was caught that very day by local fisherman and prepared by local fish lovers.